Simply upload your company logo and fill in your business info. Once the order is processed the PDF will available in your downloadable products section. Read below for more info and things to consider. Your logo will be resized to fit in a 110px(tall) by 300px(wide) area. The generated file is unlocked and able to receive edits. You won't be able to download your file until the order is processed. If you experience issues with your download or pdf please open a support ticket. We recommend that you practice strict document control and lock your pdf files w/ a password. Additions or alterations to the physical product, including, but not limited to, inclusion of fragrance or essential oils, will render the safety data sheet (SDS) inaccurate. This is due to the classification of hazards being dependent on the composition of the substance or mixture. Additions to the mixture will change the composition, thereby potentially triggering a hazard classification criteria or warrant removal of a hazard classification. This service is for the SDS customization of an Essentials by Catalina Wholesale Bulk Base to include the purchaser's (you) product and company information. In doing so, the purchaser becomes the responsible party and owner of the SDS document. If the Essentials by Catalina Wholesale Bulk Base or the corresponding SDS document are altered a new version will be issued. The purchaser will be notified via the email provided on their Essentials by Catalina account that a new version is available for download (free of charge). The issuance, revision, superseding, and withdrawal of the purchaser's documents should adhere to strict document control. The information contained in this safety data sheet (SDS) was obtained from current and reliable sources, was carefully compiled and is believed to be accurate. The information represents the present state of our knowledge and is applicable to the product with regard to appropriate safety precautions. However, the data is provided without any warrant, expressed or implied, regarding its correctness or accuracy. Since the use, handling, storage and disposal of this product are beyond our (Essentials by Catalina, Inc.) control, it is the responsibility of the purchaser both to determine safe conditions for the use of this product and to assume liability of loss, damage, or expense arising out of the product's improper use. 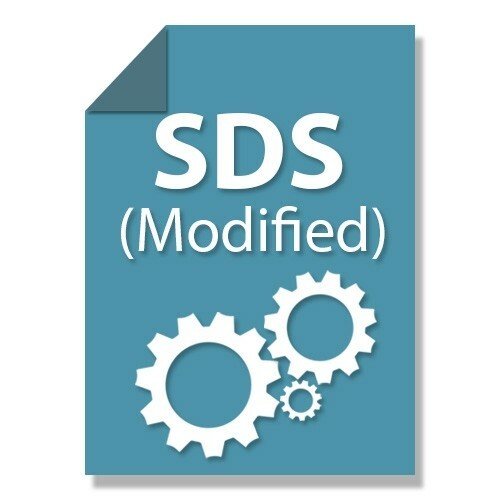 Various Federal, State or Provincial agencies may have specific regulations concerning the transportation, handling, storage, use, or disposal of this product, which may not be reflected in this SDS. The purchaser should review these regulations to ensure full compliance.